I want to give a shout out to MN Prime and their sister website Momentum Nutrition. There are not very many nutrition companies out there I think really highly of. The fact of the matter is, the nutrition industry is in large part made up of people and companies trying to turn a big profit through wild claims and fancy marketing. Often times, the claims made are based on cherry picked science which may in fact be paid for by an ingredient manufacturer themselves. For an example of paid for case studies, read my article on natural testosterone supplements and check out the last 2 nutrients listed. With that said, while doing some research a couple of weeks ago I came across this article from MN Prime: https://mnprime.com/3-nitrate-rich-vegetables-that-will-make-you-perform-better/ and I was really impressed with the quality of work that went into it. This led me to read more articles on the blog and to take a close look at some of the supplements they offer. I have zero affiliation with this company at the time of this writing. As far as I know, they have no clue that I or this website exists. So you can believe me, when I say I believe this is a seriously stand up company. Both their workout advice and nutrition advice is worth a read and it’s easy to see they put a lot of time and research into their supplements and are extremely transparent in what they offer. I’ll give you an example with a quote from the above mentioned article. Dozens of companies are trying to push their beet extract on you for a variety of reasons and oftentimes in dosages that are so low it’s laughable. MN Prime on the other hand is being straight up with you and telling you the science says don’t waste your time and money. I completely agree with them on this point! In fact, I agree with them on the vast majority of what I read which spanned about 10 different articles. It’s rare and refreshing to see such dedication to helping people out instead of focusing on a quick buck. They back up what they say with science. From what I saw, they try to focus on human case studies when possible and they give you direct links to the case studies to read for yourself. 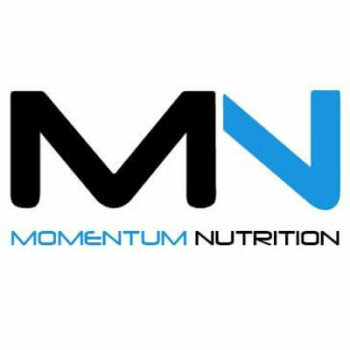 If you are looking for a stand up company to get nutrition advice from and/or supplements, I recommend you check MNPrime and their sister supplement company Momentum-Nutrition out.